Bargains specials 4 treatments fat freezing cool sculpting cryolipolysis . We are expecting our new fat freezing machine in a weeks time. What so great about the new machine? Instead of two treatments at once, this one will do four. This will save you time if you are after more than two treatments at one time. Our current special is three treatments at $649, if you have four treatments at once it’s $749. We have another special of five treatments at $1,249 that can be taken one by one. The new fat freezing cool sculpting cryolipolysis machine has a special head for under the chin. With four treatments in an hour you will have saved an hour. The new machine is just as effective as the old machine. But it’s not limited to two treatments at once. For us it saves space, we have rooms full of the latest skincare and beauty treatments. So any space we can save is good for us. Fat freezing is a quick and fast way to remove fat from the body. 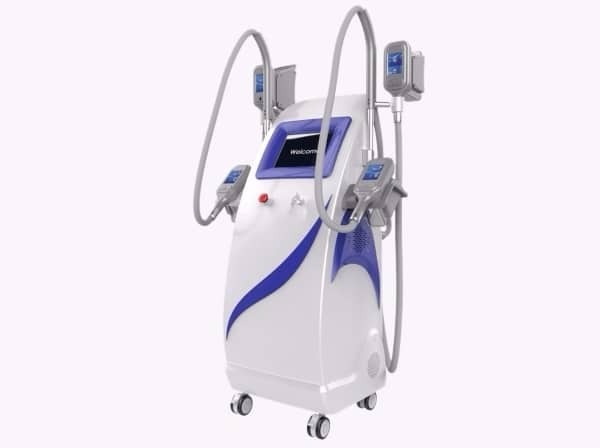 The purchase of the new machine is to insure you get the latest and the best in skincare and beauty treatments. If you haven’t experienced the Xara Skin Clinic difference, then do it today. 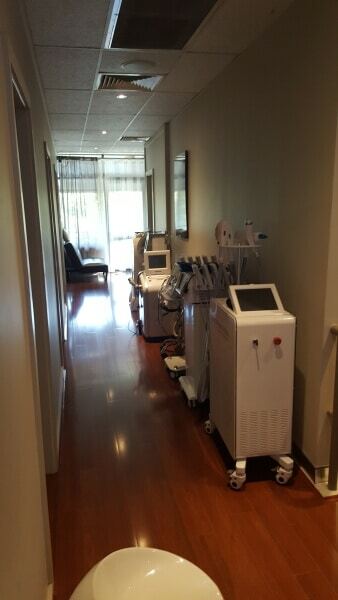 For safe and effective products and services, come to Xara Skin Clinic in Lane Cove. We make you look and feel fantastic. Make your booking today. The photo shows just some of our range of high tech beauty and skincare equipment. We really are Sydney’s one stop shop for beauty, skincare and fat removal. Don’t forget to check out our fantastic products. See you in the store. We are really happy with our new fat freezing machine. It has some great feathers, like ramp up suction. That means the suction starts up with little suction and then it builds up. This is a great comfort feature. The four heads have interdependent timers, suction and temperature settings. This is a really good feature when you are doing areas with little fat and areas with lots of fat at the same time. Areas with lots of fat can operate at a lower temperature. This means our customers get a more effective treatment and great comfort. All things that add to the customers experience. Why not come in and try our wonderful new machine? We have and more than once and have gotten great results. I might take a photo for a new blog in a few weeks time. Wiki what is fat freezing? Hi there, what is the name of the coolslimming machine you use? Hi, same question as the previous person- what machine do you use?